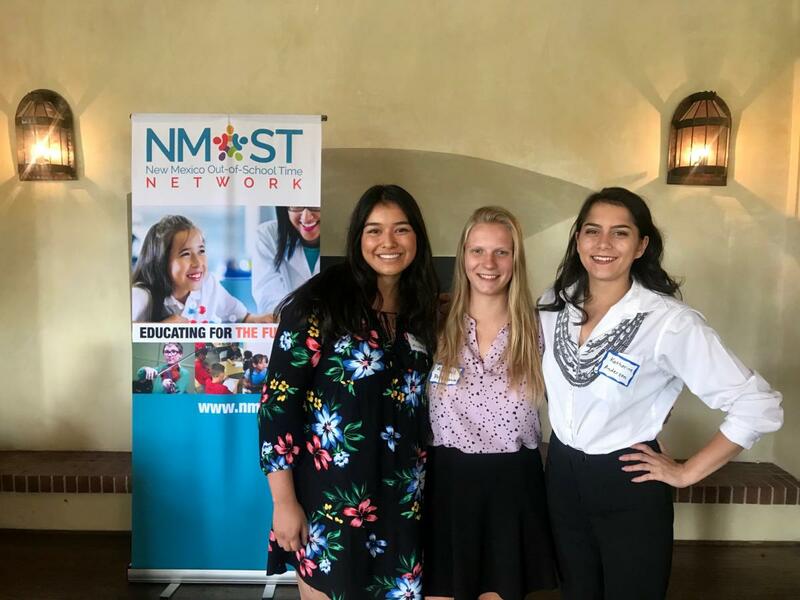 On Thursday, September 20th, the New Mexico Out-of-School Time network (NMOST) hosted its first Advancing Young Women in STEM breakfast in honor of (left to right) Haley Hilborn, Abigail Pribisova, and Katherine Anderson — the recipients of our first annual Advancing Young Women in STEM scholarships for women pursuing a degree or certification in a Science, Technology, Engineering or Math (STEM) discipline. Women remain underrepresented in the STEM professions and there is a need to close the gender gap and inspire the next generation of female innovators and leaders. 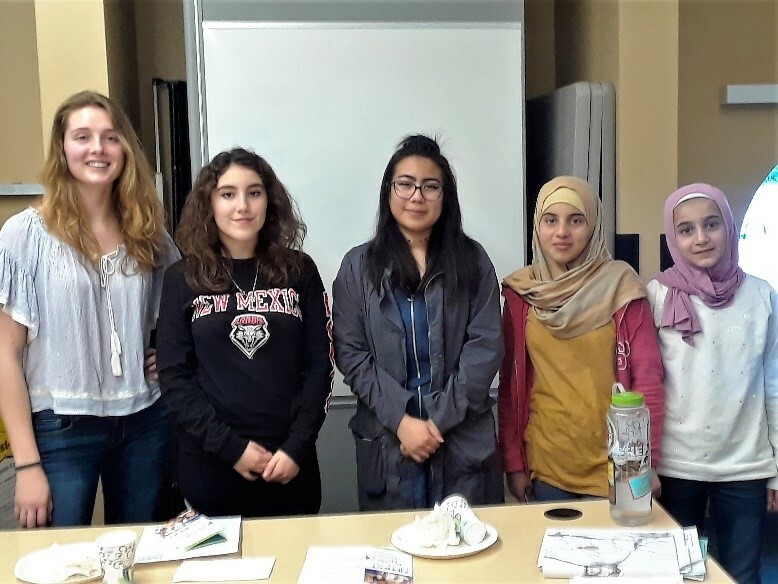 This event highlighted and celebrated young women entering the STEM fields and also acted as an open forum for those attending to network and discuss ideas on how to further STEM outreach for women. Guest speakers included: First Lady of Albuquerque Elizabeth Keller, PhD; Olivia Underwood, PhD; Rochelle Larson, PE; and Armelle Casau, PhD. The speakers shared stories of how each came to excel in their respective fields, along with suggested strategies for lifting up young women and girls interested in the STEM disciplines. Women in Science Who Changed the World: Rosalind Franklin, Marie Curie, Caroline Herschel... These are just a few examples of female scientists who have made world-changing discoveries. Watch the video to hear their extraordinary stories. Close your eyes and picture and engineer. You probably weren't envisioning Debbie Sterling. Debbie Sterling is an engineer and founder of GoldieBlox, a toy company out to inspire the next generation of female engineers. She has made it her mission in life to tackle the gender gap in science, technology, engineering and math. These young women are the first participants in our youth ambassador program for high school and college-aged women interested in pursuing a career in STEM. The program's goal is to enrich the participants' knowledge of STEM culture, increase career awareness, network with STEM professionals, and develop skills that will help them succeed in the workforce. Which Shark Are You? 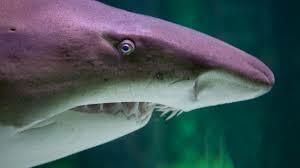 Sharks are some of the coolest creatures to swim in the sea. Take this personality quiz to find out if you’re gentle like a whale shark, social like a lemon shark, or funky like a hammerhead. How to Fight a T-rex... and Win!